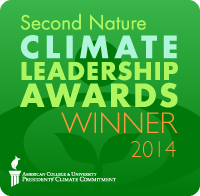 Orlando, FL – Valencia College has won a 2014 Climate Leadership Award from Second Nature, a national nonprofit that works to create a healthy and sustainable society by transforming higher education. The awards are presented annually to colleges and universities that demonstrate innovative and advanced leadership in education for sustainability and climate mitigation and adaptation. To qualify, institutions must be signatory members of the American College & University Presidents’ Climate Commitment (ACUPCC). Now in its fifth year, the prestigious national award program drew the most competitive pool of nominations to date. The winners were chosen from 20 finalists selected by Second Nature’s board of directors. They represent the different types of higher education institutions across the United States. Valencia College was recognized for the college’s efforts to cut energy consumption. Over the past three years, the college has cut energy use by 47 percent per square foot. The reduction has come through the construction of six new buildings that are certified LEED Gold or the equivalent. 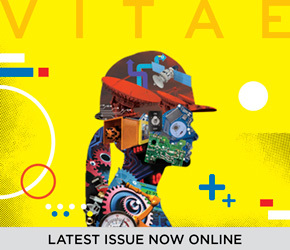 The college emphasizes energy efficiency, from heating ventilation and air conditioning (HVAC), lighting retrofits and building automation systems to a behavioral energy efficiency program that was part of a nationally published case study. 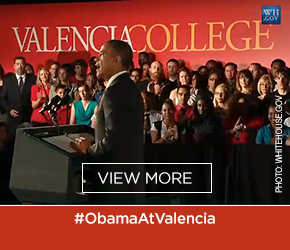 Valencia College has also worked to include sustainability throughout the college culture and curriculum. “This award underscores Valencia’s commitment to responsible environmental stewardship across all of its campuses. Our college has again demonstrated outstanding climate leadership on a national stage,” said Allen Bottorff, assistant vice president of facilities and sustainability. Other winners included: Western Michigan University, University of Massachusetts-Amherst, California State University-Chico, University of Minnesota-Morris, and Montgomery County Community College in Pennsylvania. The ACUPCC is an effort by a network of colleges and universities to address global climate disruption. Each of the members has made commitments to eliminate net greenhouse gas emissions from specified campus operations, and to promote the research and educational efforts of their college to equip society to re-stabilize the earth’s climate. Valencia College signed the ACUPCC in June 2009. In addition to reducing energy consumption, Valencia has worked college-wide to educate its staff and students about energy use and climate change. The college was named a Tree Campus USA in 2012 and installed five electric car-charging stations on its West Campus. 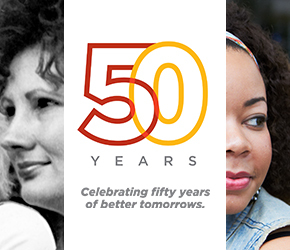 About Valencia College: Valencia College serves 60,000 students a year on five campuses in Orange and Osceola counties. The college is recognized as a national leader among two-year colleges and, in 2011, was named the first winner of the Aspen Prize for Community College Excellence.